Here is a collection of some of my favorite shots from Israel. By far my favorite moments of the trip were at the Sea of Galilee. We had been touring beautiful places in the north of Israel, and I finally found a quiet evening to stand by the sea and be still. God speaks so clearly to me through nature, and it was no different here, with my toes in the cool water and the breeze blowing against a warm, setting sun. 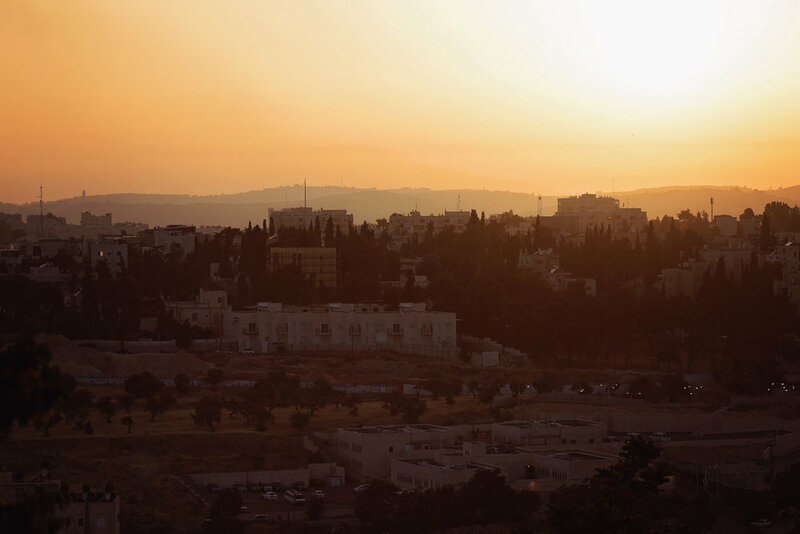 On our first day in Jerusalem, we drove to a lookout to watch the sun set over the city. The haze sent the sun glowing across the desert and bringing life to the stories I'd heard for years and years about all that happened in this city. We went to explore the markets of Jerusalem on the night before Sabbath, where people of all ages were finishing their shopping. The vibrant lights and music held such a unique contrast against the traditional clothing of some of the Orthodox Jewish people there. The morning that we spent at the southern temple steps was beautiful. The sun was rising into the hottest day of our trip, but it hadn't quite peaked yet. 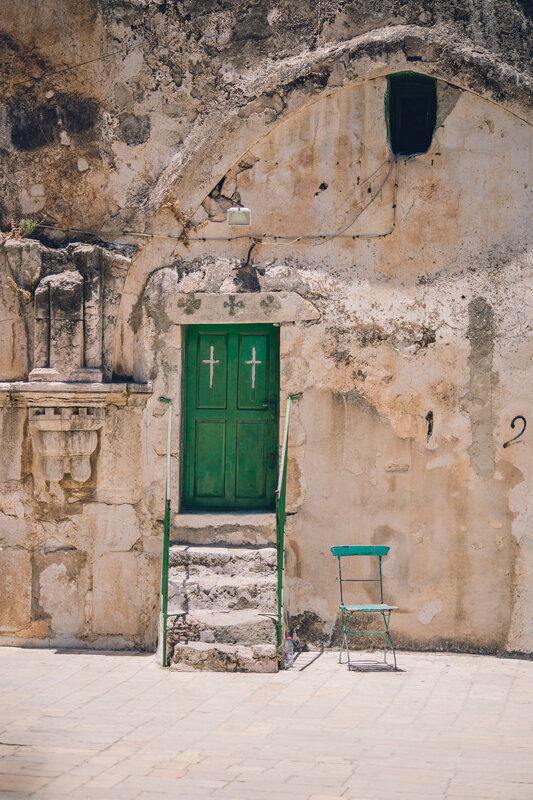 Our guide, Liat, sang a song that her family had taught her as we sat and reflected on the rich history of these steps where Jesus walked. We met this man, Jamie, who moved to Jerusalem from Canada to work and hand write the Torah in Hebrew. He shared some of his story while working hard at this unique craft. We sat in the Garden of Gethsemane to pray and spend time alone, and the sun burst so beautifully through olive trees. While we were spending time in silence, the Muslim call to prayer was sounding from the Dome of the Rock, and the mix of culture and religion became so tangible. This mural was painted on a wall beside the original roman streets that were uncovered beneath some of the streets in Jerusalem. It shows historic characters as well as modern characters, and here the group of students from Lipscomb and Mary Hardin-Baylor stand and enter into the story. The Dead Sea shrinks every year, and the ground around it becomes unstable sinkholes, as we could see from the road where I took this landscape shot. Guests enjoy themselves, despite the increasingly long walks to the shoreline. The Church of the Holy Sepulchre is divided into corners and sections for dozens of religious groups. We walked through each of them, where people who had travelled for thousands of miles were offering praise and reverence. It was one of the most beautiful sights, and with a camera that was made for low-light settings, I was in my element! We spent our last morning in Jaffa (Joppa), where the sun shone beautifully on deep, blue waters. It was breath-taking, but after we got our last round of coffee Icees and walked through the markets, we were ready to board our plane and head back to Nashville.